Disclaimer: Please note that testimonials or endorsements found at this website do not constitute a guarantee, warranty, or prediction regarding the outcome of any legal matter. 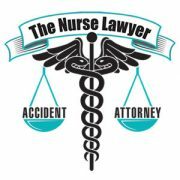 The Nurse Lawyer represented me regarding an accident in 2013 where I was rear-ended while stopped at a traffic light. I suffered serious injuries to both my neck and lower back. Neck injuries resulting in a ACDF surgery. From the very start to the very end, Maryann saw me through the entire process. With her experience as a nurse she was really able to help me understand what I was going through with my injuries and treatment. She was able to represent me with great confidence, fully understanding my injuries. This gave me peace of mind. Maryann and her staff handled everything for me and she always communicated with me keeping me informed on where we were in the process and what the next steps would be. She was always just a phone call away day or night. It was a long road but in the end Maryann was successful. The insurance company did not believe I was injured and the case ended up going to trial in Federal Court. Where she did an outstanding job representing me. She was very knowledgeable with the federal court process and she was not intimidated by the insurance company at all. She truly dedicated herself to my case. With her medical experience she was able to really help the jury fully understand my injuries and how I had been injured in the accident. Her and her staff were professional, knowledgeable and prompt in responding to any questions I had. Maryann was very confident in presenting my case to a jury in trial. Where she won a very substantial verdict on my behalf. I cannot say enough good and positive things about my experience with Maryann and her staff at The Nurse Lawyer. Her medical experience is an extremely valuable asset. My husband and I would and will highly recommend her to anyone who needs a knowledgeable, confident & successful representation. “I would just like to thank you again for representing me in my personal injury case. I cannot express enough the gratitude I have for you in the excellent way in which you handled my case. You are an attorney that really cares about your clients and you got me the money I deserved and fast. I saw first-hand, how you dealt with the insurance companies and won. You exhibit an extraordinary professional attitude and an excitement towards the practice of law. Your superior knowledge and medical expertise puts you ahead of other attorneys. I will never forget how you handled my case, and for that I have and will continue to recommend you to all my family and friends. Mrs. Masella, you are truly a blessing. Thank you so much again”. “I used the services of The Nurse Layer due to a car accident I had in 2012. Her caring about my well being and her tenacity at her work made sure of a great outcome in my favor. Ms. Massella is always ready to answer any questions you may have”. 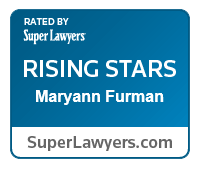 “Maryann Furman represented both me and my mom for our accidents. She is caring, patient, and knowledgeable. Being that she has her nursing degree definitely contributed to her understanding of our injuries and therefore she has a better grasp of what to do legally as far as our cases are concerned. I would recommend her to anyone who is looking for a good personal injury attorney”. Dear Maryann, Just a personal note to say, “Thank you so much for the way you handled my case regarding my car accident two years ago. You did an amazing and remarkable job handling my case!! After two and half years of pure hell dealing with the insurance company you were able to get a very reasonable settlement in my favor that will take care of my injuries going forward. Thank you for “looking out” for your client’s best interest and making sure I wasn’t taken advantage of by the insurance company. I appreciate your professional skills, gifts and talents, and your kindness and compassion, as well. I always felt like you were looking out for me… God bless you, and please continue helping other people like myself”!! !